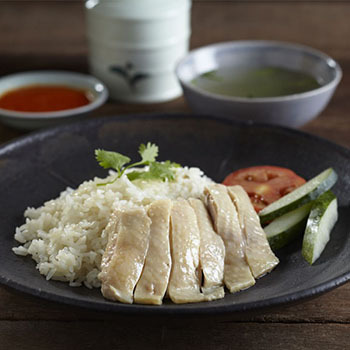 Sergeant Hainanese Chicken Rice certainly knows the key to achieving the perfect plate of greasy goodness, winning the hearts of many chicken rice fans. Its signature chicken rice is steamed to perfection so that satisfaction is definitely guaranteed. It’s a case of Newton Hawker Centre to California, USA! Founder Mr Lau Thye Hong started his family business in 1970, specializing in local delights Fried Prawn Noodles, Char Kway Teow and Fried Oyster omelette. What he has been doing differently from the rest is he serves his fare on Opei leaves, strongly believing that the leaves have a unique ability to bring out the full flavour of the fried dishes. 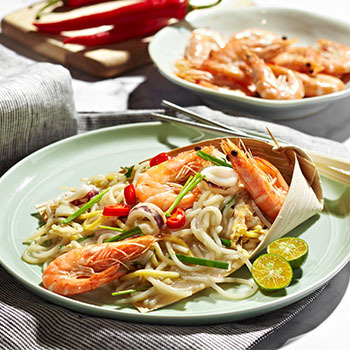 Opei leaves are from the bark of Palm Trees, specially imported from Malaysia and Indonesia. “It’s best to wrap the food 15 minutes before savouring “shared Mr Lau himself and he must be right as an average of 500 portions of his signature dishes are sold every day! What’s more, last year, Mr Lau was hand picked by the Singapore Tourism Board to showcase his Char Kway Teow as one of our nation’s most celebrated local specialities at the Culinary Institute of America in California! 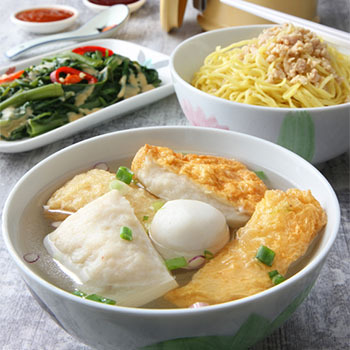 Made twice daily, Li Xin’s fishballs are made with yellowtail only and kept chilled in cold water but never frozen. Owner Eddie Lim, son of founder Lim Lee Seng, says that this method has been used since his father’s time to keep the fishball soft and bouncy. Not only do they make their own fishballs, they make their own chilli sauce and crispy lard pieces as well. Based on the same recipe that has been used since they started in 1968, you will definitely appreciate the effort taken to make this traditionally delicious taste. Smothered in a rich, curry gravy, and paired with stewed cabbage and crispy breaded pork chop, Singapore Curry Rice is quite the unsung hero when it comes to Singapore’s list of iconic local delicacies. Elevating this dish to the next level, Ali Shan Curry Rice introduces its new signature Cheese Pork Chop curry rice. 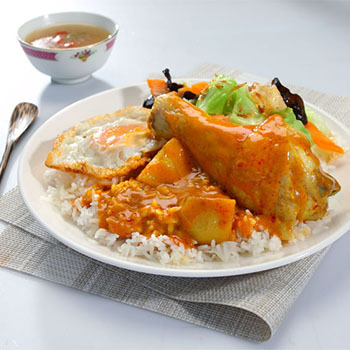 Oozing with melted cheese – and we all know that anything with cheese just tastes better – it is the perfect pairing to your regular curry rice that is guaranteed to make you 100% satisfied. Sloppy yet satisfying, patrons can also choose from Chicken, Pork, and Dory Fish. Koo Kee Yong Tow Foo Mee serves up bowls of homemade Yong Tow Foo. 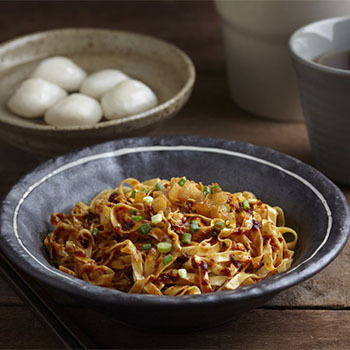 Paired together with their specialty dry noodles topped with minced meat, Koo Kee’s Yong Tow Foo is simple, yet satisfying. Koo Kee has been a Hakka pride and tradition since the 1960s when they first started in Chinatown. Huat Huat BBQ Chicken Wings has been serving up mouth-watering, Singaporean-style tender juicy chicken wings for more than two decades. 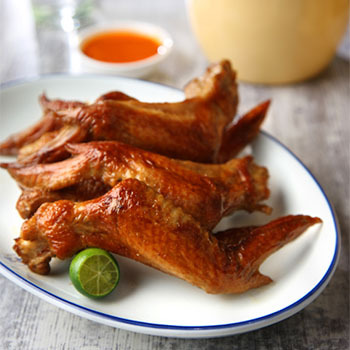 Marinated with the fragrance of barbecue wings cooked over charcoal, Huat Huat’s BBQ chicken wings are sweet and crispy on the outside, and succulent on the inside. Indulge yourself with the old-school comfort and ambience of this mini restaurant located within Food Republic at VivoCity. With a sip of Balestier Bak Kuh Teh, you can expect the natural sweetness from pork ribs blend in harmony with the peppery broth. 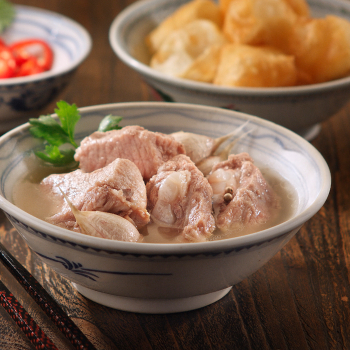 You can also choose from a variety of flavoursome side dishes such as You Tiao, vegetables or kidney soup to complement with your Bak Kuh Teh. Complete your meal with their wide range of premium tea selection from Pek Sin Choon which includes Long Jing (龙井), Shui Xian (水仙), Bu Zhi Xiang (不知香), Tie Guan Yin (铁观音) and Mei Gui Pu Er (玫瑰普尔).